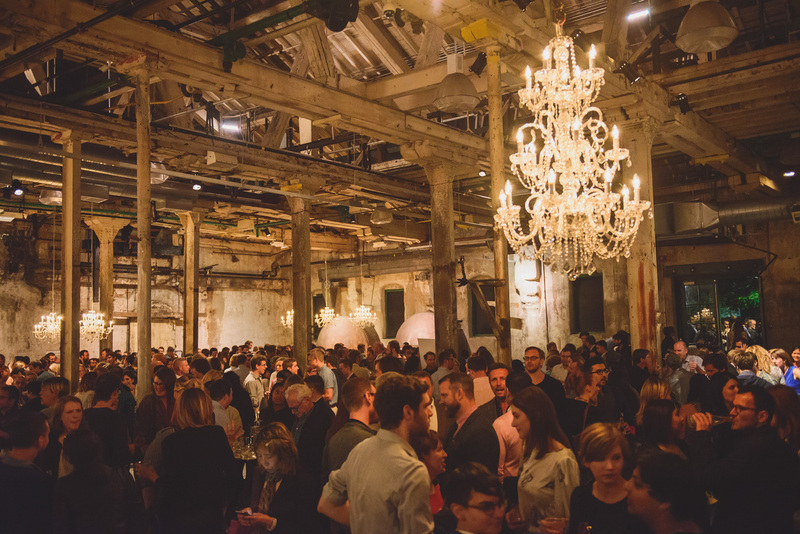 Toronto the Good 2014, our tenth annual public party, was a big success. We had attendance exceeding 1000 people, and, according to accounts, a good time was had by all. Beer and wine flowed, music spun, people danced, and a great deal of urban-minded mingling occurred. ERA has been privileged to host and co-host this party over the years at a number of venues, each year based on a different theme. Last year at the Carlu focused on Detroit and Toronto as neighbour cities; 2012 at Fort York focused on the bicentennial of the War of 1812; other years have focused on books, awards, city planning, and special initiatives such as Tower Neighbourhood Renewal. 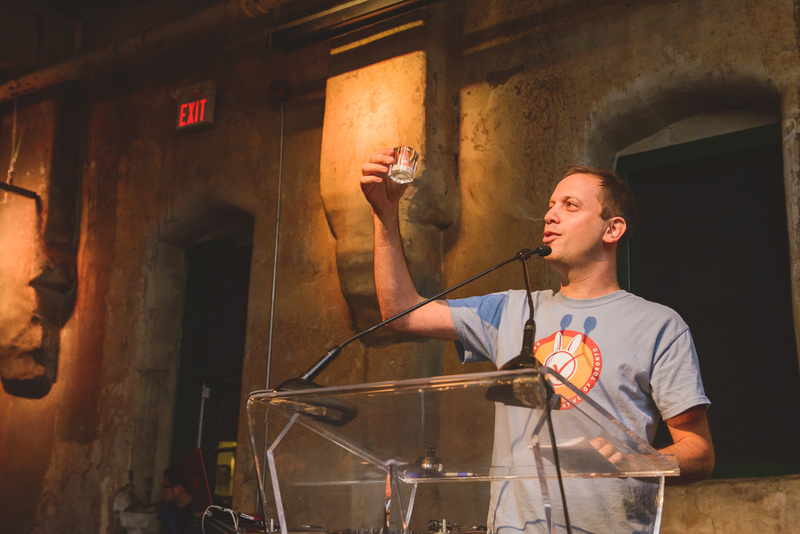 This year’s party centered around the upcoming Toronto municipal election and was co-hosted by Dave Meslin and RaBIT, who have been a leading voice advocating for the fascinating idea of ranked ballot municipal voting in Toronto. Many councillors and candidates were in attendance this year, including a number of mayoral candidates who braved the loud room to speak to their vision for the city. A big thanks to Sonya Tytor and Julie Tyndorf, Dave Meslin and all the people from RaBIT, DJ Elijah Walsh (the Unknown Funk Hero), photographer Catherine Mombourquette, Astley Gilbert Printers, Spacing Magazine, the Fermenting Cellar and the Distillery District, the OPPI, and mayoral candidates Morgan Baskin, Olivia Chow, Mark Cidade, Mathew Crack, Ari Goldkind, Klim Khomenko, Michael Nicula, Lee Romanov, Sketchy the Clown, Hïmy Syed, John Tory, Richard Underhill, and Erwin Sniedzins. And, of course, thank you to all of our good friends and guests. See you at the polling stations…and stay tuned for next year’s party! Toronto the Good is a party thrown each year by ERA Architects (and friends) to celebrate Toronto and contemplate its history and evolution with fellow architects, designers, thinkers, and urban-minded people. Co-hosted by Dave Meslin and RaBIT. Join us for free delectables, cash bar, and a lively crowd of people passionate about design and democracy in Toronto! You may even get the chance to mingle with Toronto Mayoral candidates! Admission free. Join the party and invite your friends on Facebook!